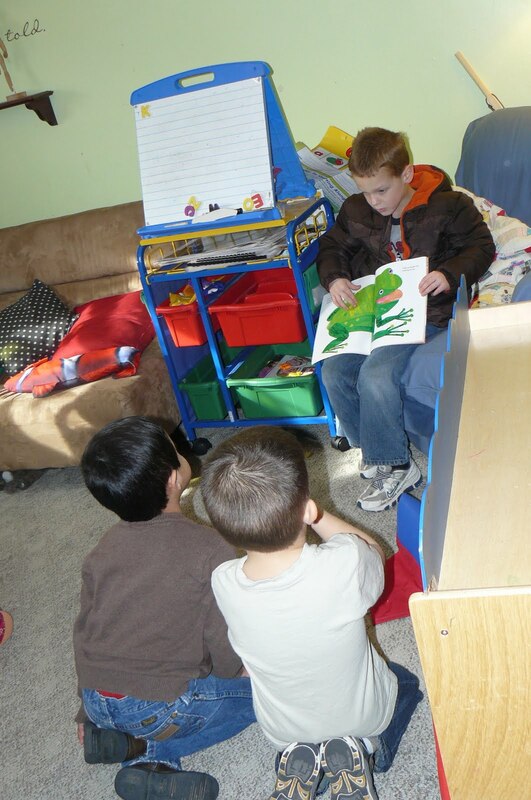 Once a year we have reviewers come in to make sure we are providing a quality learning environment for our children. We usually do fairly well. They are unannounced. We get a 6 week window that they can come in. Not long ago Marcy ( far left ) called and asked could a group of them come to do a mock review for training. Marcy is a huge advocate for family child care and a friend, how could I say no? Today was the day. Today they actually reviewed on a scale called ECCRS ( not FCCRS ) which is what they use for a center type setting. I have never studied that manual since I am not a center and it was practice for them anyway. I have no idea how we did. They counted books and soft toys and listened to the way we spoke to the children. They watched handwashing procedures and bathroom times. They even went outside with Randy and his small group. All in all I think the day went well – no one cried, yelled or puked- not even me. 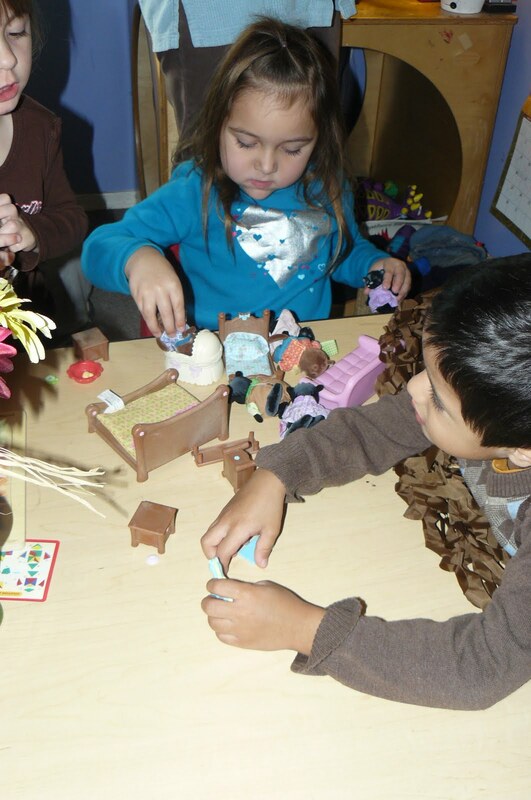 The kids played with the woodland animals in the puppet stage. Noah and G are genius’ with this magnetic cube. It comes all to pieces. I cant even put it back together but they can. In small groups today we played ” what’s missing” with the color bears. We counted them and talked about the colors and then the kids closed their eyes. I took a bear away and they tried to remember which one is gone. Then we played ” feed me” I took two bowls and a skunk puppet and a raccoon puppet. A puppet would ask a child to feed him a certain number of nuts. The child would use the tongs or the spoon to feed the correct number of nuts to the animal. Not only was this a math activity ( counting) but it was also fine motor and following directions. It was a good day. It all went well. If you look at our activities today – we did the same things we normally do. All inspections cause a LITTLE anxiety but shouldnt create a lot if you arent just ” taking the test.” If you do it every day… everything falls into place when you need it to. Rainy Days Can Be Productive !